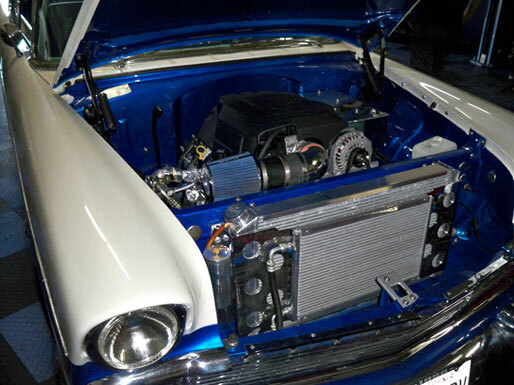 This 1956 Chevrolet Bel Air gets great mileage and power from its L99 engine and custom dyno tuning. This 1956 Chevrolet Bel Air was treated to an L99 engine conversion. 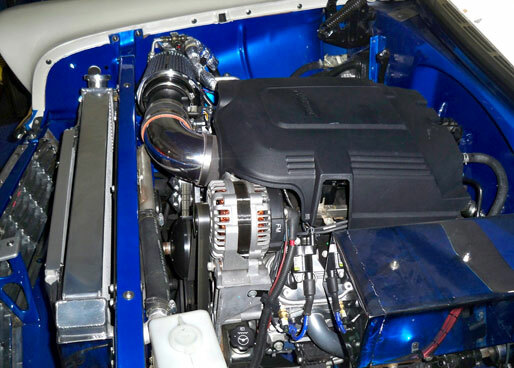 To make this hot rod a little more fun to drive, we added long tube headers and a few other tricks from our street rod stage 1 package like a cold air intake and a lower temp thermostat. Now this hot rod is not only far more powerful than it ever was before, but it also gets great mileage around town!